It’s no secret these days. Fast shipping is the new norm. And fulfillment location plays a major role in reducing transit time (and saving on your shipping costs in the process!). You must be geared to reach customers quickly if you want to keep up these days. If you handle your own order fulfillment, you’re kinda stuck with your own geographic location, which may not be optimal. If you choose to outsource you have an opportunity to choose fulfillment location wisely and leverage geography. Define the population centers that are making up the most significant portions of your volume. With this knowledge, you can discuss with your potential order fulfillment provider which areas have the highest volume of delivery. Then ask the potential provider to tell you how quickly they can reach those defined zones. Be Near to Your Customers The vast majority of the US population resides east of the Mississippi. In a national Direct-to-Consumer campaign you are closer to more customers if you’re on the east coast. Why is this important? The closer the customers, the lower the transportation costs (a penny saved). Shorter transit times result in happier customers (a penny earned). Consider the alternative. If your fulfillment location falls in a western state, such as California, the vast majority of your packages (typically 70%-80%) will ship over the Rockies to eastern points. Longer distances, crossing more freight zones means higher costs and longer delivery times. Logistics Infrastructure It’s important to be near the infrastructure that complements logistics. By locating where carriers have major distribution hubs, your packages will move more quickly through the supply chain. Also, locations that are near shipping ports will enable faster and cheaper inbound freight to receive your goods into the warehouse. This will lower your inventory carrying costs and come in handy when you’re on back order and every day counts to fulfill that order. Economic Conditions It’s important to know how the economy will affect the location of the warehouse you ship from. Two big factors are going to be the cost of labor and the cost of warehousing. Locations in California or New York are going to be far more expensive than options in the southeast or the midwest. 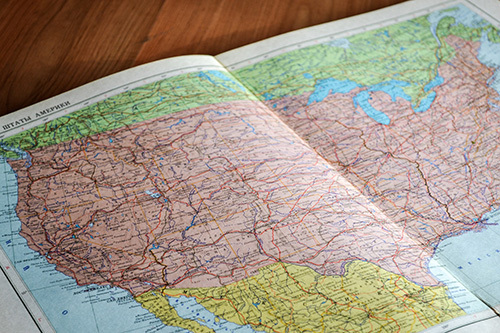 Take a look at the labor issues surrounding the states you target. You also want to avoid states with potential franchise taxes that can greatly increase costs. The location of your fulfillment operation is just one factor in being able to match the speed demands of today’s online shopper. Learn more tips by downloading our e-book or reach out to us and discuss what challenges you might have on the shipping front. We would be happy to help!